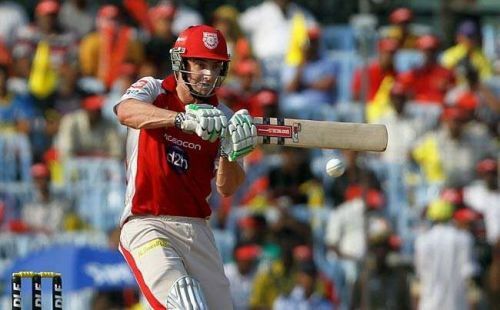 Shaun Marsh of KXIP has won four Player of the Match Awards against RR in IPL. The fourth match in the 2019 IPL sees the inaugural champions Rajasthan Royals (RR) take on Kings XI Punjab (KXIP). These two teams have faced off 17 times in the IPL with RR leading KXIP 10-7 head to head. In IPL 2018, these two teams met twice and won one match apiece. Let us now take a look at some of the key stats from RR vs KXIP matches in the past. 221/3 scored by KXIP in IPL 2008 is the highest team total in RR vs KXIP matches. 112/7 by RR in IPL 2009 is the lowest team total in matches between the two sides. 409 runs scored by Shaun Marsh of KXIP is the highest number of runs scored by a player in matches between the two sides. 115 by Shaun Marsh in 2008 IPL is the highest individual score. It is also the only century scored by a player in matches between these two teams. 23 half-centuries have been scored in RR vs KXIP matches. 3 half-centuries hit by Shaun Marsh of KXIP and Ajinkya Rahane of RR is the highest number of half-centuries hit by a player in RR vs KXIP matches. 178 sixes have been hit in RR vs KXIP matches. 17 sixes hit by Shaun Marsh is the highest number of sixes hit by a player in RR vs KXIP matches. 39 fours hit by Shaun Marsh is the highest number of fours hit by a player in RR vs KXIP matches. 14 wickets taken by Piyush Chawla of KXIP is the highest number of wickets by a player in RR vs KXIP matches. 4/26 by Kevon Cooper in IPL 2012 is the best bowling performance by a player in matches between these two teams. 7 catches taken by Ajinkya Rahane of RR is the highest number of catches taken by a player in matches between these two teams.